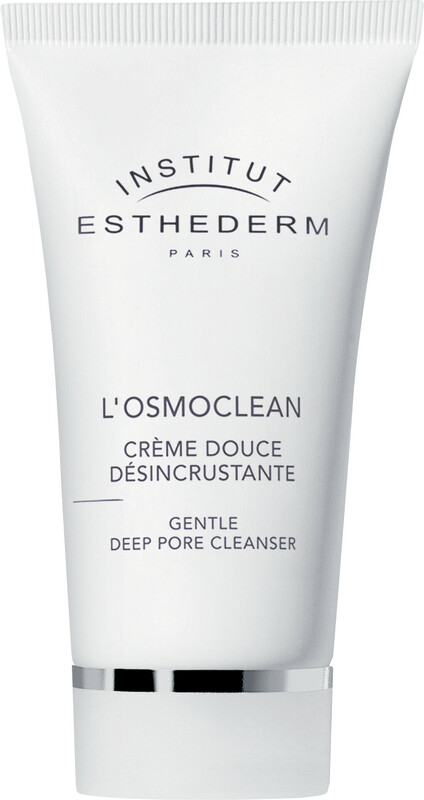 Lift impurities from your skin with the Institut Esthederm Osmoclean Gentle Deep Pore Cleanser, a gentle cleanser that will eliminate impurities deep within the pores. The innovative cream will instantly cleanse the skin, refine the skin’s texture and help to minimise the appearance of blackheads. The cream formula thickens when massaged, clinging to the skin and absorbing impurities deep down. With regular use, skin will look clearer and brighter and imperfections and blackheads will be visibly reduced. Apply small dabs over the entire face, including sensitive areas. Massage into the skin without pressure using circular motions until the cream thickens and whitens. Rinse several times.